Good question. It has only been a decade since 2007, and given that I joined the VCU Center for Teaching Excellence in late 2006, it sort of marked my start in faculty development. 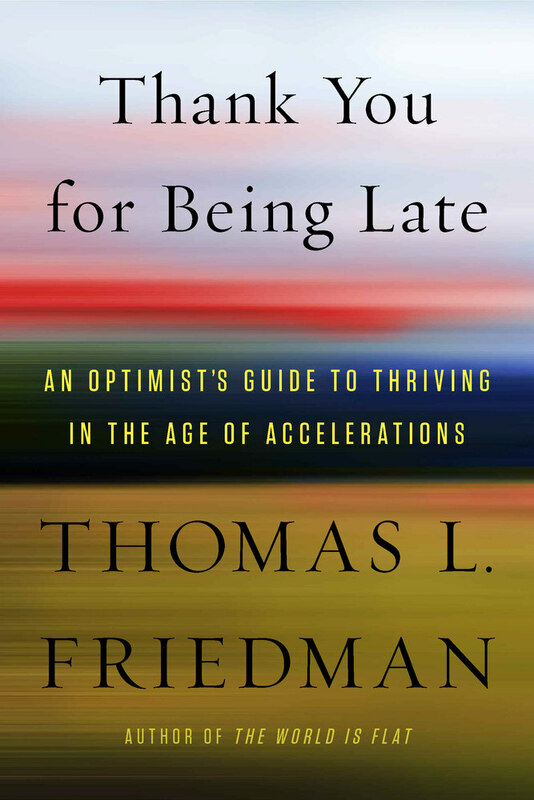 Friedman noted that he first began writing a book about how technology was driving the world…and the world’s economy… back in 2004, which became The World is Flat. He updated the book in 2006 and issued version 3.0 in 2007, at which point he stopped thinking about it. I noted in previous posts that this book was very impactful to me personally. In fact, my presentation during my interview for a job at the VCU CTE was on how Friedman’s 10 flatteners were changing our view of what it meant to teach. A version I loaded into Slideshare a year later has now been viewed over 18,000 times, which is just one more example of how the world of teaching has changed! Yet, in 2010, Friedman picked up his first edition and scanned the index, noticing that Facebook was not in it. Twitter was not in it. Big data was not in it. Skype, LinkedIn, 4G…none showed up in his book about how the internet had changed the world. That was when he realized the extent to which these changes were indeed accelerating. As I think back on this last decade and my evolution within the VCU CTE … and later on to Northeastern’s Center for the Advancement of Teaching and Learning through Research (CATLR), I realize how fortunate I have been to have had the opportunity to play at precisely that inflection point in history when our concept about teaching and learning in a digital world changed. I also got to play in a wonderful team led by Jeffrey Nugent, with Bud Deihl playing alongside. 2007 marked my first year as a learning specialist at the CTE, and during that year, Koehler and Mishra published their first paper on TPACK – Technological, Pedagogical and Content Knowledge, which shaped much of my work with faculty. We began paying attention to work Stephen Downes and George Siemens were doing around the concept of connectivism, as well as the first MOOCs. I sent my first tweet …even misspelling it as “twit” … in January 2008. It has only been one decade! Friedman ends the second chapter noting that the rate of technological change has increased for the first time above the rate at which humans adapt. He suggests that we have to now enhance our ability to adapt…which will lead to the next series of chapters. This need to enhance our adaptability as we deal with the constant acceleration of technology, globalization, and climate change was again on my mind as I continued exploring the 2017 Deloitte Global Human Capital Trends report, which looked at the challenges ahead for businesses and HR professionals. Over the past seven posts, I have been looking at it from a faculty development perspective. The report is based on analysis of a survey of more than 10,400 business and HR leaders globally, and noted ten trends. I discussed the fifth trend yesterday. The sixth and seventh trends involved Digital HR and People Analytics, which are not only closely related…but tie in nicely to the accelerating technological changes of the past decade. The report noted that HR now is dealing with a digital workforce, a digital workplace, and so must be digital as well. The tone has shifted from “doing digital” to “being digital.” Companies are shifting from rigid place-bound organizations to networks of networks. Processes are expected to be more transparent, and new tools are needed. “Standard” HR practices are becoming anything but standard as organizations fluidly shift in order to optimize productivity, engagement, teamwork, and career growth. Analytics are now being mined to help drive performance. The concept of being digital aligns with faculty development as well. In a conversation this past week with a colleague, she noted that online teaching is no longer seen as an add-on…that being digital is part of teaching today. We lag behind corporate America when it comes to using analytics…but that is changing as well. One only need look at the sales pitches by companies for the various LMSs to see how analytics are now in the lexicon of education. If change is indeed accelerating, one wonders what the next decade will bring. I plan to shift the textbook for my Creighton Leadership and Technology course from Dave Weinberger’s Too Big to Know to Kevin Kelly’s The Inevitable, but I can see that by Spring 2018 when I next teach this course, Friedman’s book may also be part of the course. Well, as you have mentioned, the rapid advancement in technology and the web are still going on. So a decade in tech-time is more like a decaaaaaaaaaaaaaaaaaaaade in nontech-time – perhaps even a century! Thanks for an awesome post! I have already completed your course but I WILL be reading this book! I love exclamation marks… Best of luck!